There is a common myth that if you have a Magento 2 website, then you can simply conquer the market but that way too different in the real world. The success of Magento 2 ecommerce store depends on the selection of right tool. Let me go deeper in this concept. According to Magento Developers; there are ample of well recognized companies and services who provide bundle that includes market-recognized tools. The combination of these tools can really be the X-factor for your ecommerce store website. Google is too one of the recognized company that offers a bundle of tools that ensures that you can accurately track and monitor your ecommerce business performance indicators. This bundle allows the user to monitor all the Google extensions associated with your ecommerce website which includes Google Analytics, Google Adwords, and Keyword Planner. The bundle is more off like an extension which is known as “Magento 2 Google Tag Manager extension”. If you are too a marketer, then you want this extension as it will help you in easily track your site conversions, remarketing, analytics, and related functions. These insights will help you stay on-track from the initial days of your business till your glory. It will help you track your cross-sell & upsell products. It also make it easy for you to track product impression and clicks. You can even number of times a particular product was added or removed from the cart. How many times a product was added in the favourites or wishlist. Easy to track how many times a specific product was reviewed or compared. Keep tabs on the entire website’s checkout process which includes billing to shipping steps. Go to the official website (In this case, go to the above mentioned website). Simply download the .zip file. Unzip the Google GTM Extension on any folder of your desire. Simply transfer the folder to app/code folder. Once you run those codes, remember to flush the caches on the server and Magento. With these steps you can easily install Magento 2 Google Tag Manager Extension in your Magento store. Let’s dive further deep into the configuration of Magento 2 GTM Extension. First, you need to activate Google Tag Manager. Go to WeltPIXEL > Enhanced ecommerce GTM Settings > Google Analytics Enhanced Ecommerce. Enable the Google Tag Manager by clicking yes there. In Impression Chunks Size option, mention the number of data you will see for your impression report. For smooth performance, it is recommended that you keep the size at 15. With the help of Product Identifier, you can easily recognize your product in Google Analytics & Google Tag Manager with help of SKU or Product ID. Now mention the right Brand Attribute to track brand on Google Analytics. Choose Grand Total or Subtotal in the option “Order Success Page Total Calculation”. You can click “Yes” in the option “Measure Product Clicks” to track product click in different category pages of your Magento store by the help of our Magento Developers. These steps mentioned above are unavoidable and are mandatory to set for proper tracking in your Magento ecommerce development store. With the use of Magento 2 Google Tag Manager Extension, you can avoid the confusing use of multiple extensions. You will see some promising growth and increase in your Magento store productivity. It is a must-have extension for your ecommerce store. 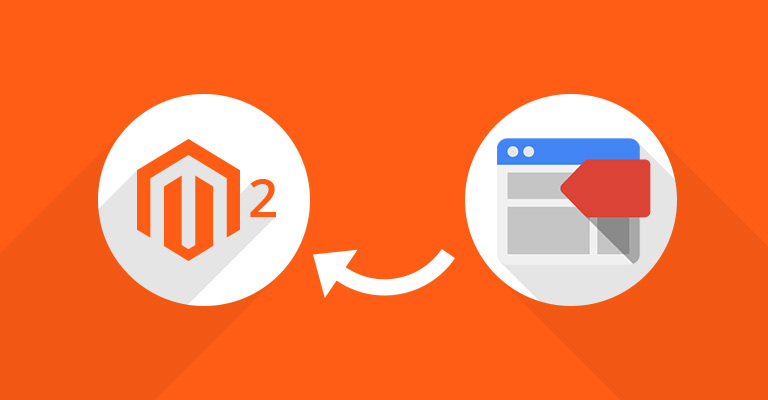 Don’t miss the power of Magento 2 GTM Extension. What you think about the post? Did I miss something? Why don’t you leave a comment and let me know what I miss. Let’s have a healthy discussion. Till the, Adios fellas!! !